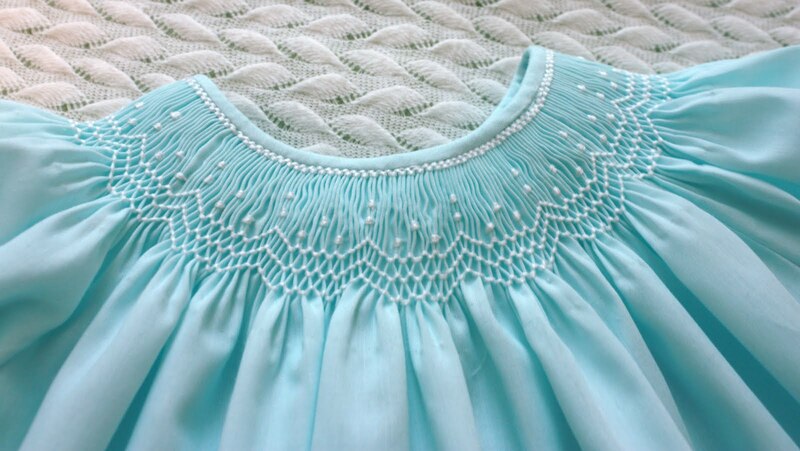 Smocking is an embroidery technique which uses pleats and smocking stitches to embellish dresses and garments. But it’s purpose was not always applied to just children’ s clothes or a variety of embellishments. The use of smocking dates back to the early 17th century and was mainly used for smocks used by shepherds as a protection from a tool called a Shepherd’s Crook and the Waggoner’s whip which rested on their shoulder. 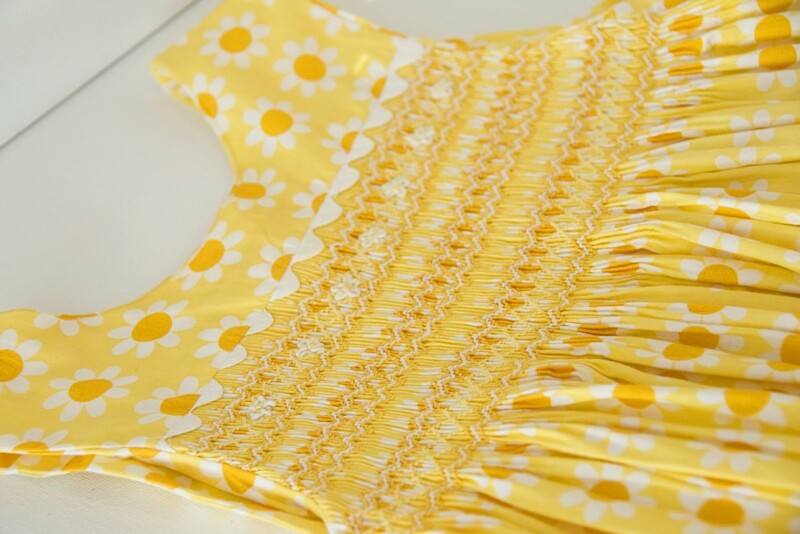 Fabric pleating has been traced to the 12th century BC and samples have been found in archaeological digs in Denmark. 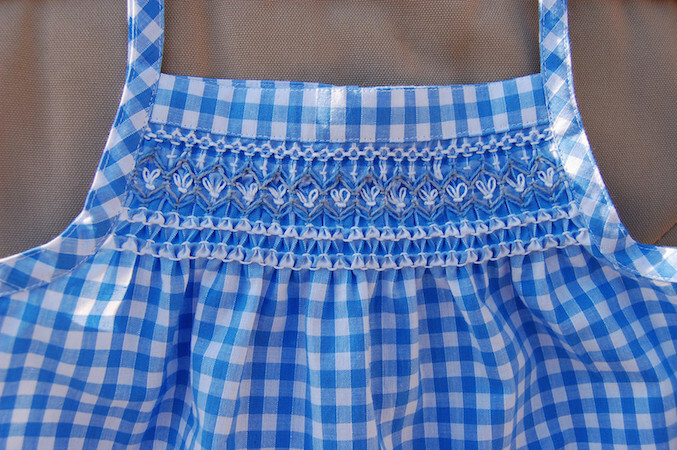 Smocked garments, however originated during the Iron Age and was a loose garment worn to the knee. It was purposely created to allow movement and was made of natural material such as wool,cotton or linen. The poorer classes wore blue, the colour being directly linked to poor peasants. Stitches used were variations of feather stitch, chain, satin and stem stitch. Stitches on the smocked panel were cable, outline and stem stitch. Threads were usually linen. It is believed that the thread was waxed, to strengthen and make it more waterproof and needles waxed to assist in getting through the thick fabric. The 19th Century brought great changes to the way people wore their clothes. Due to the use of machinery, smocks became dangerous and many discarded their smocks for factory made clothes. However, by the end of the century, the fashionable members of society adopted the smock to herald a new trend. Famous people such as Oscar Wilde and the great textile artist, William Morris were among the elite who wore them. 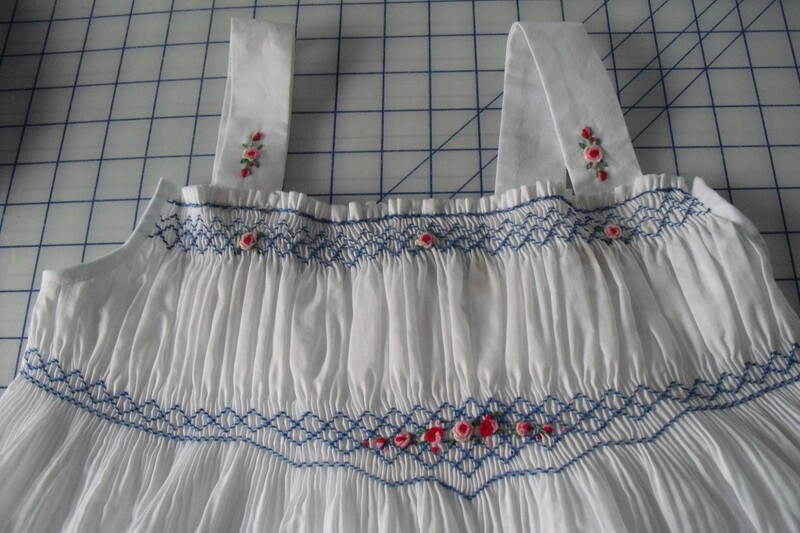 Instructions for the art of smocking, were published in 1887, and were specifically targeted for the middle class ladies to make their gowns, blouses and jackets. Children’s patterns and some adult patterns were introduced in the 20th Century. 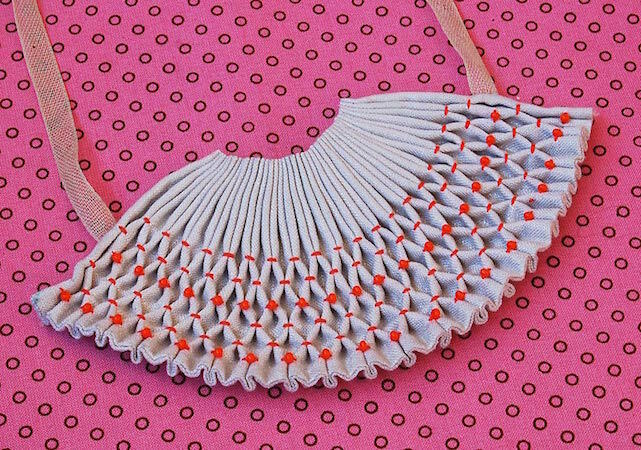 Pleating continued to be done using the naked eye, and it wasn’t till the 19th Century that smocking dots and templates were used. Although pleaters or gathering machines were introduced at the turn of the 20th Century, they did not become popular till the 1980’s. In the 1940’s the newly popular craft magazines featured the smocking stitches and the craft became popular once again. 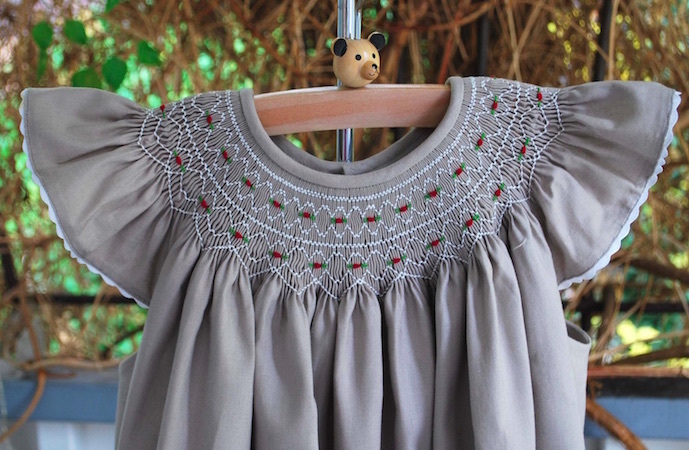 Now the young Royals have outfitted their lovely children in gorgeous smocked outfits and the popularity of smocked garments are once again in the limelight.